Do as the Romans do. Casius is an unusually skilled spy, but that’s not what makes him memorable. He has a pet monkey in his personal retinue that follows him wherever he goes. Supposedly, it helps him with his subterfuge… that sounds a bit unlikely on the face of it, but given some of the daring missions he has pulled off, maybe it’s true. 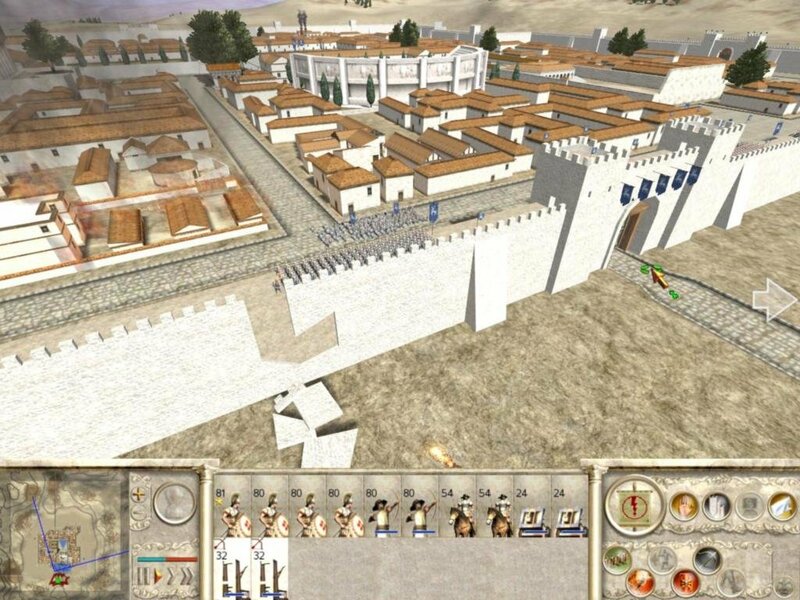 Once I sent the man into a heavily fortified city. 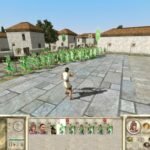 He managed to climb the walls, and was kind enough to leave the front gates open when my armies attacked the city. 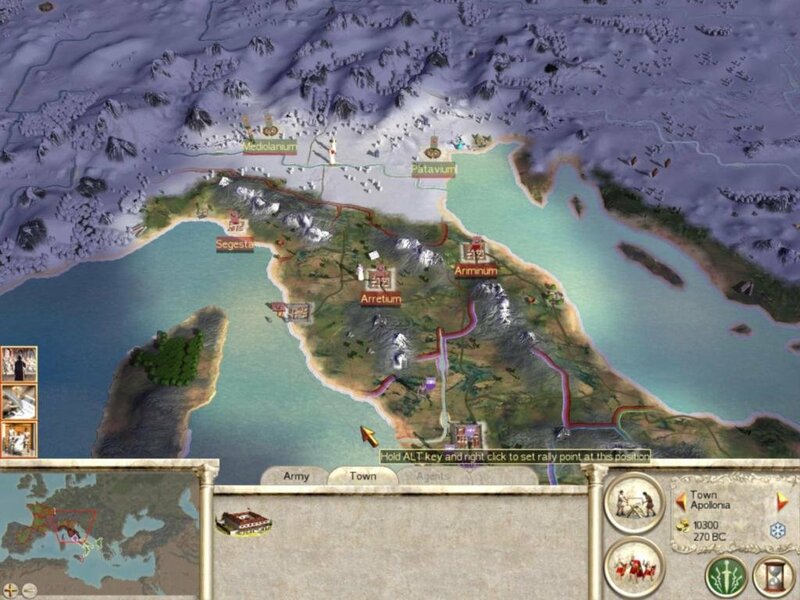 Little details like these are a large part of what makes Rome: Total War an amazing game. It’s not just the incredible real-time battle engine. 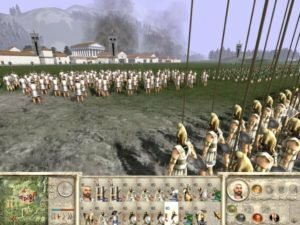 It’s not just the new campaign system, which is by far the best in the Total War series. It’s not just the immaculate presentation and attention to detail. 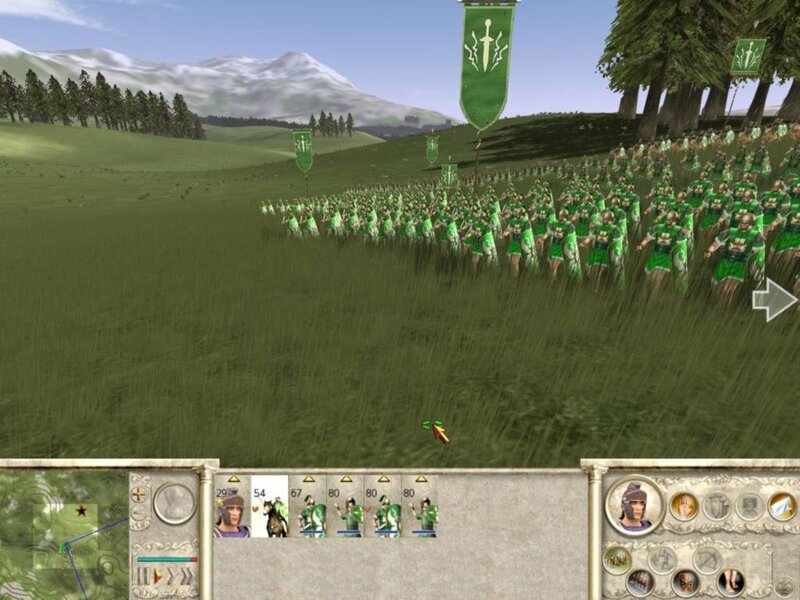 It’s that the game has all of those things, and so much personality besides; if there’s a magic formula for how to make a great strategy game, Creative Assembly has figured it out. 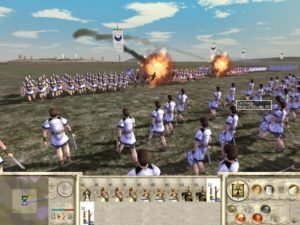 The battles in Rome: Total war are amazing. 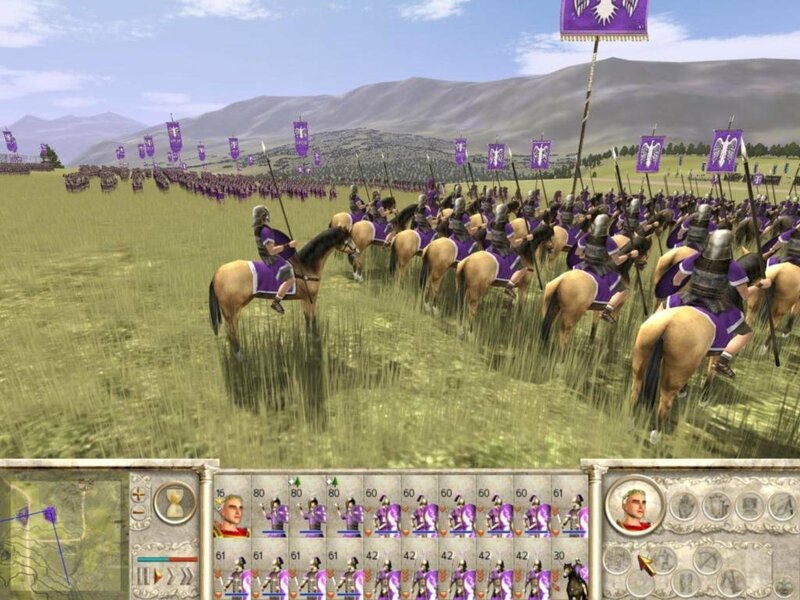 Creative Assembly has tightened the pacing, streamlined the control, and given the interface a more intuitive design. 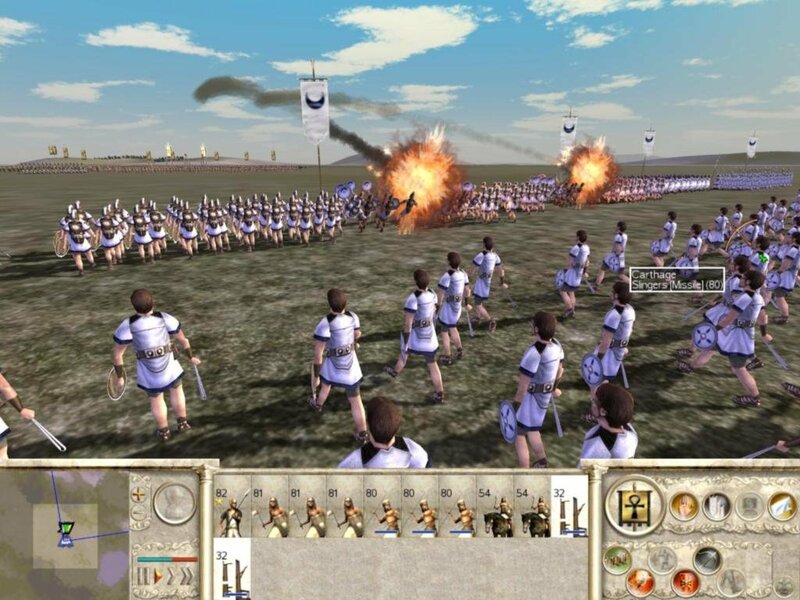 Particularly impressive is how well the battles hold up—visually and functionally—at any scale. With the camera pulled back to a bird’s eye view high above the landscape, it’s easy to keep tabs on the battle, set your lines, and direct your troops on open terrain. 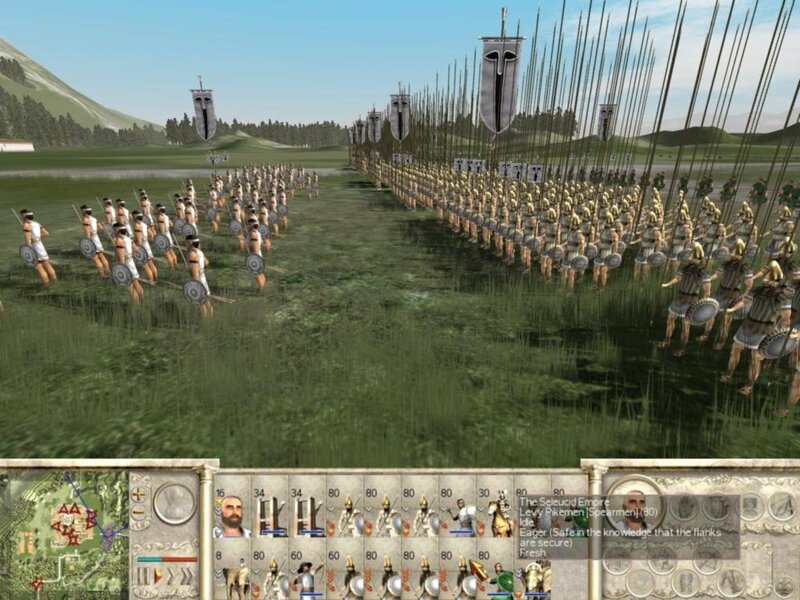 But you can also zoom in, and even see individual soldiers marching, fighting or dying en masse like good lemmings. That’s a bit unfair – the close-up view really does lend the game a tense, visceral feel. 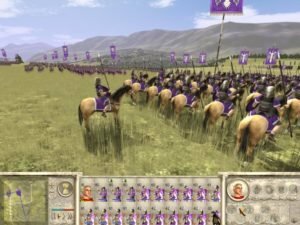 When you form a line of spearmen, and cavalry is foolish enough to charge right into it, the song of screaming horses, clashing metal and dying men is unbelievable, almost as entertaining as watching Braveheart. Besides having more cinematic battles, the new engine brings with it a large assortment of tactical abilities to its virtual battlefield. Onagers send flaming projectiles into the enemy. They’re devastating but not very accurate. 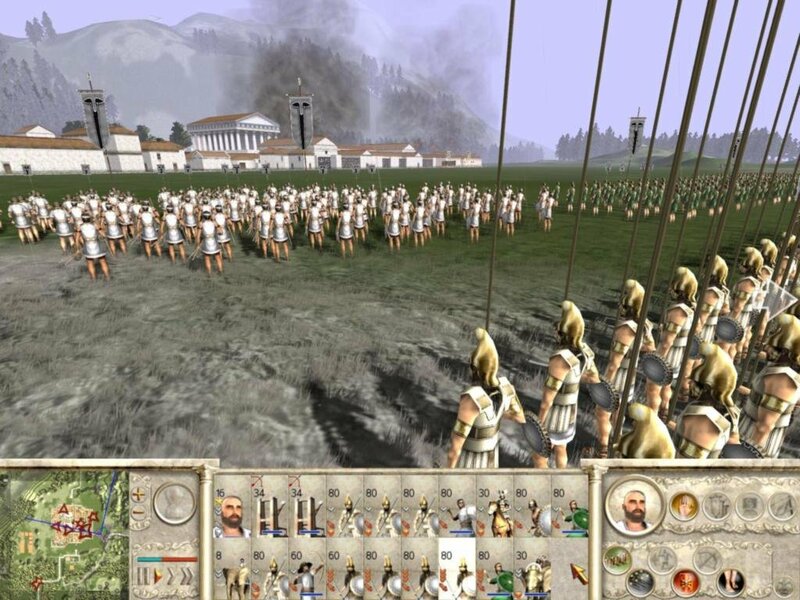 The units are incredibly diverse within each civilization, ranging from the expected Roman, Gaulish and Germanic hordes to more exotic Greeks and Egyptians. 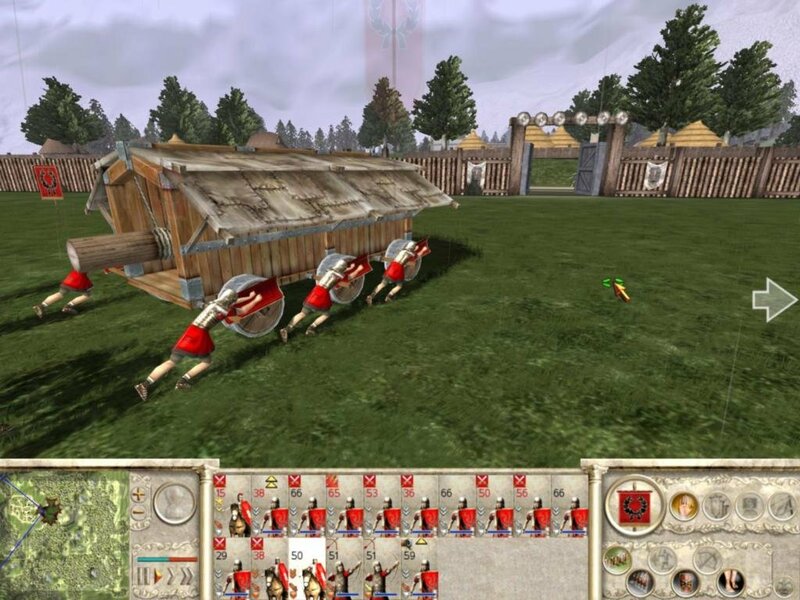 The disciplined Roman factions have some of the most organized units at their disposal, like the Triarii (they can place their shields together in a Testudo formation, essentially becoming impervious to arrows). More interesting units include dogs that rip and shred once their handlers release them, and flammable ‘war pigs’. 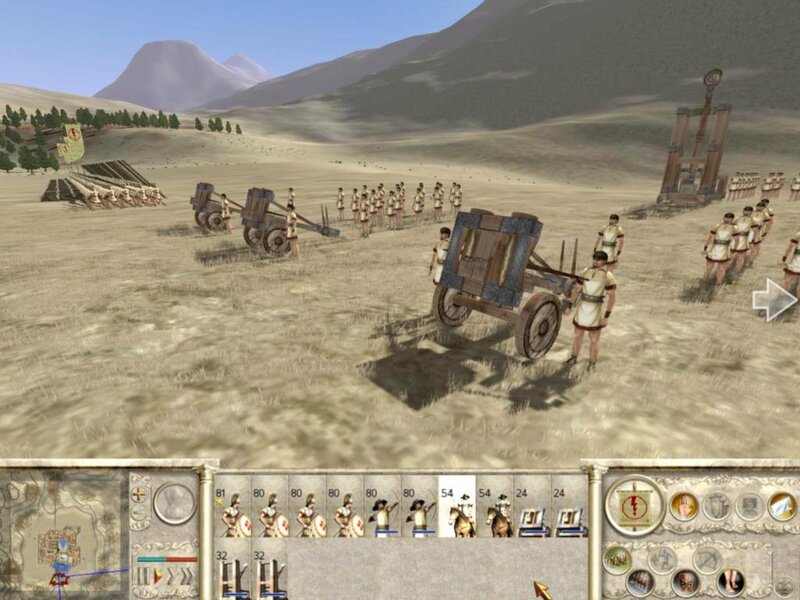 Drill through the complex tech three and you, as the Romans, will be able to build lumbering Onagers – large catapults that hurl rocks at town walls or troops, and are essentially the super-weapons of the game. Many units, regardless of civilization, have at least one special ability you can use. 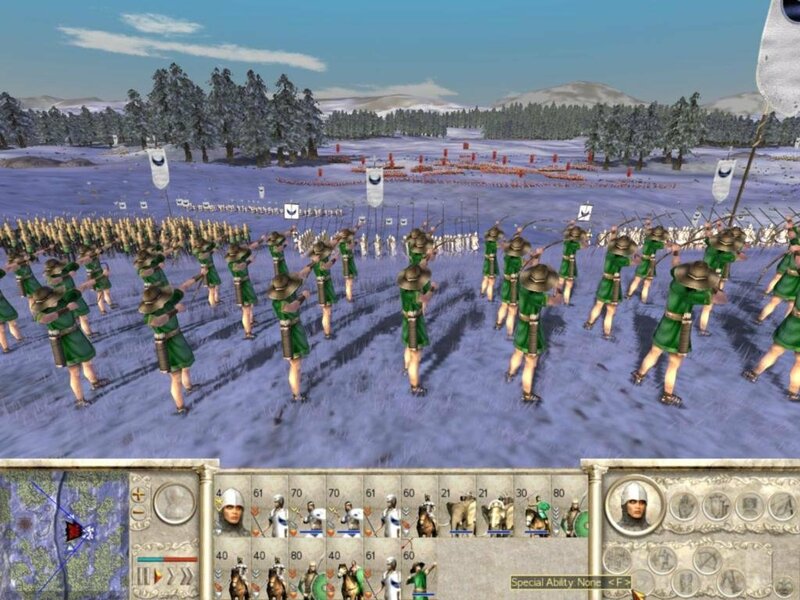 Archers can light their arrows on fire, charging cavalry can form a wedge formation, druids can chant to increase morale, and all generals can turn routing men back into the fray. 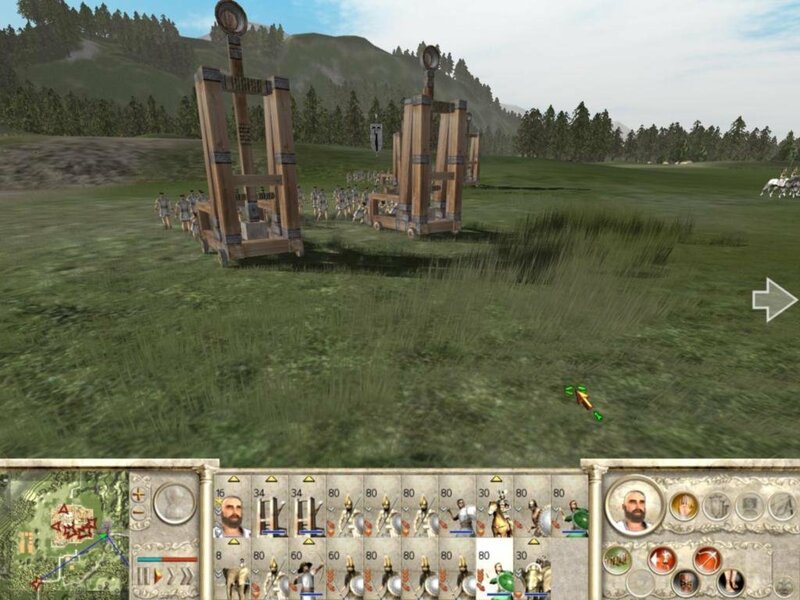 Sieges are of particular interest – you can try to starve an enemy into submission, attack, or (if the besieged town is protected by walls) build siege equipment that can take several turns. Rebels gather into formation. Notice Mount Etna erupting in the background. Assaulting heavy walls is tough. You can scale them or knock a section down. 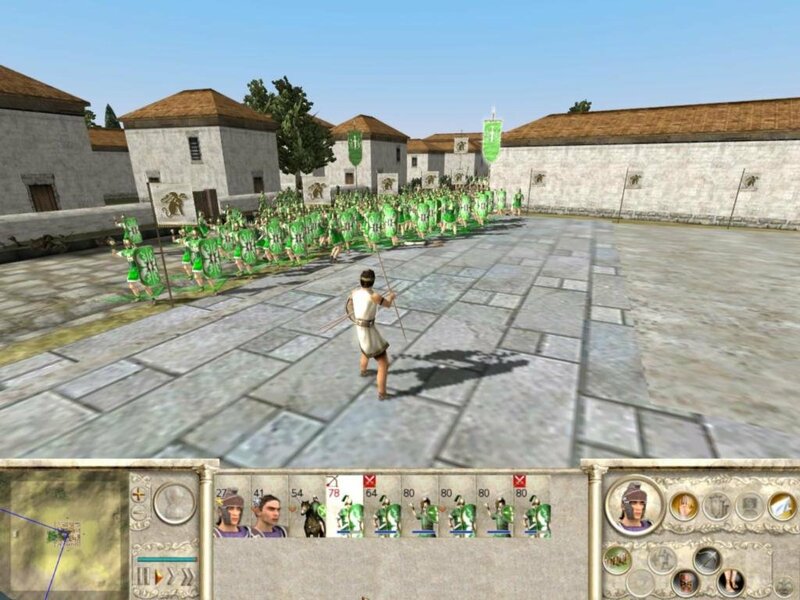 The town center is the last line of defense for the enemy army. 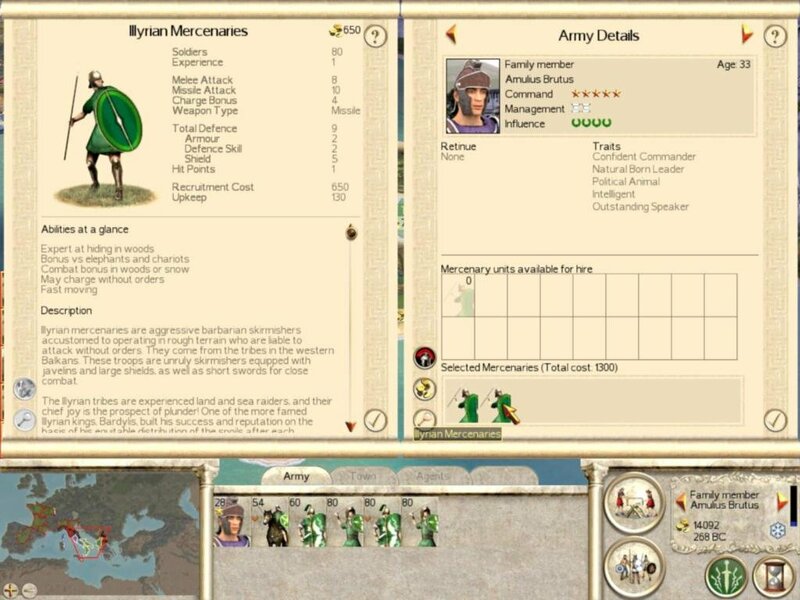 This guy thinks he can take on 400 men by himself! 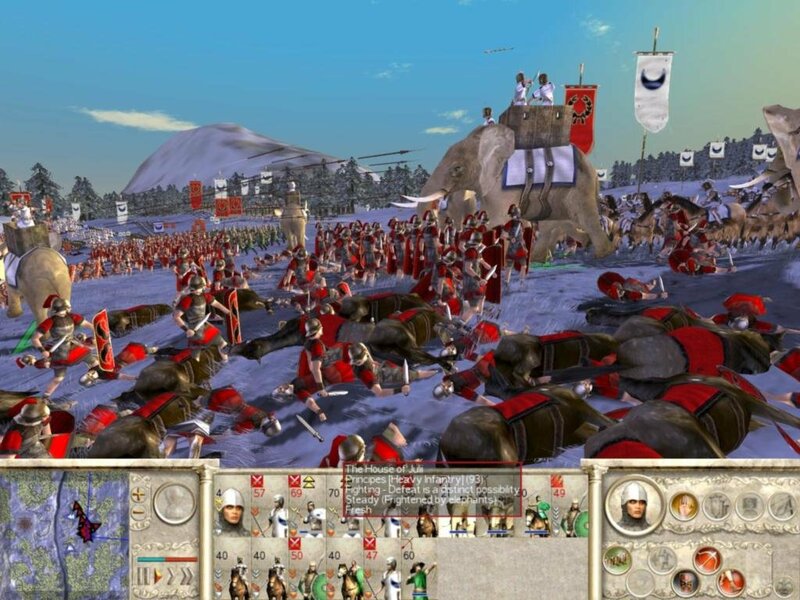 The battles are good fun, but as slick as they are, the real star of this show is the new campaign engine. The grand strategy portion of Rome has less clutter and more strategic depth than Medieval and Shogun. 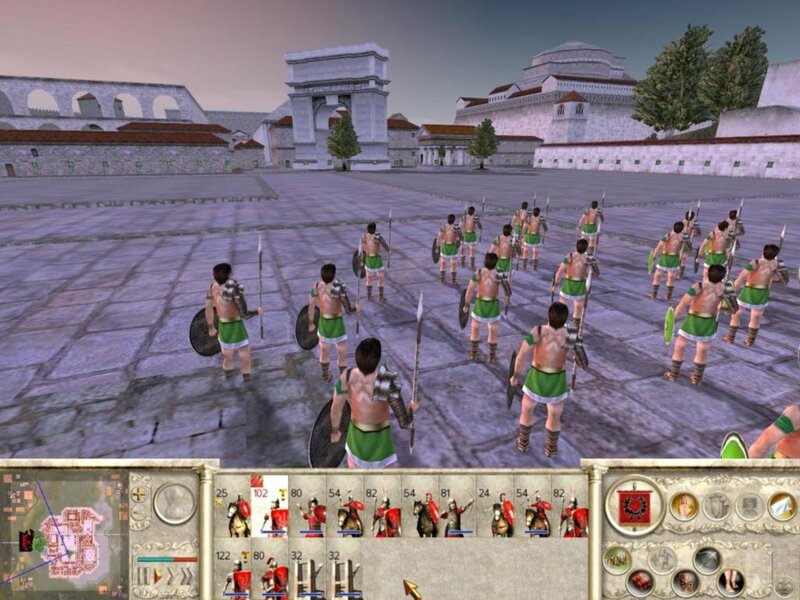 The map is still divided into provinces, but armies can now travel around within them, adding a novel element of operational-level strategy to the game. 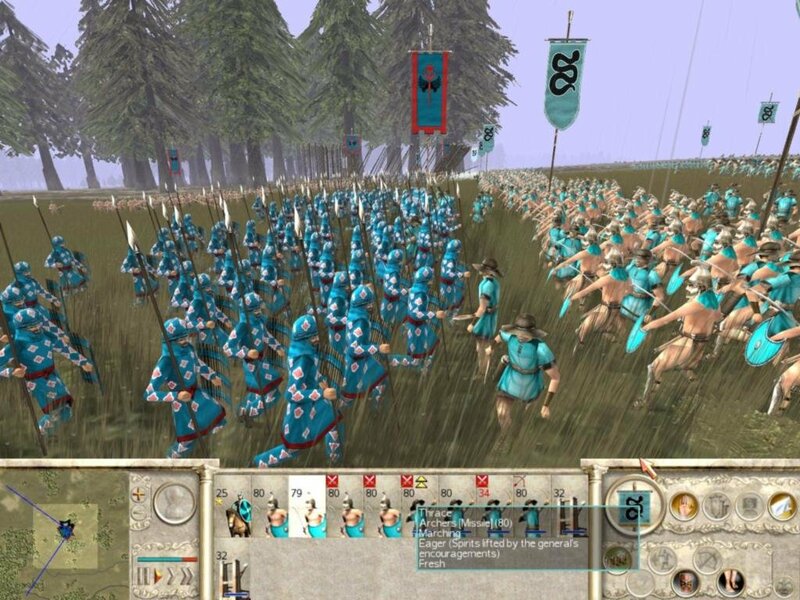 It also gives you time to respond to an army that has encroached on your territory. 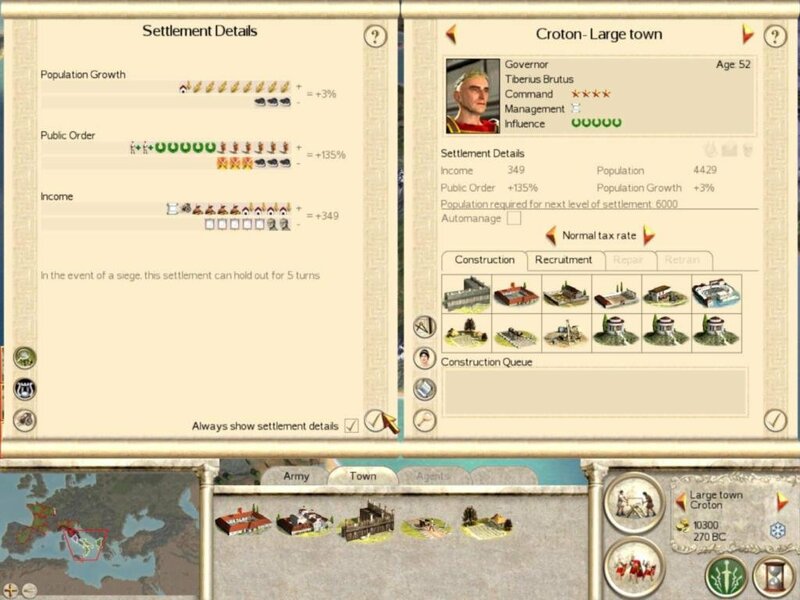 In order to conquer a province you have to take its capital, but it’s not enough to place defending armies in your settlements and leave them there. There is a strong incentive to send troops out into the countryside to secure choke points and defensible terrain. 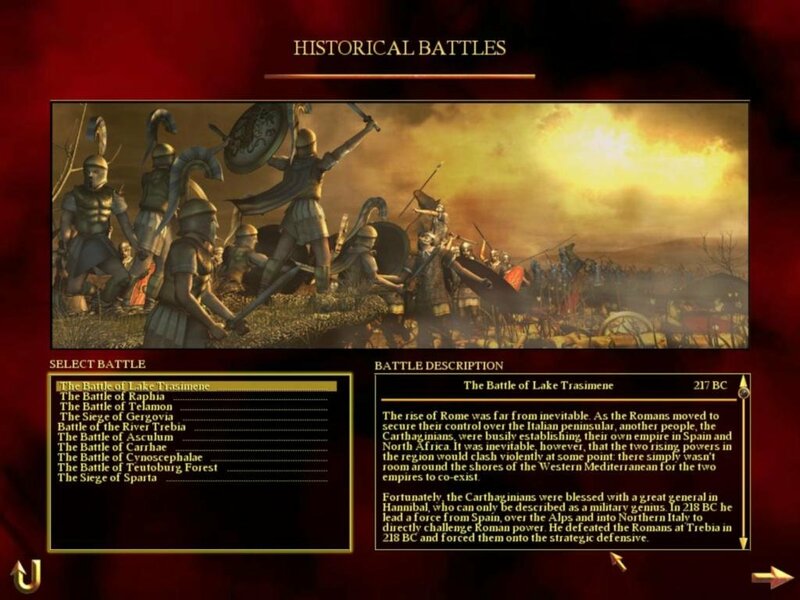 The battle map that you fight on is based on the local terrain that your armies occupy on the strategic map… there are a lot of different battle maps in this game. 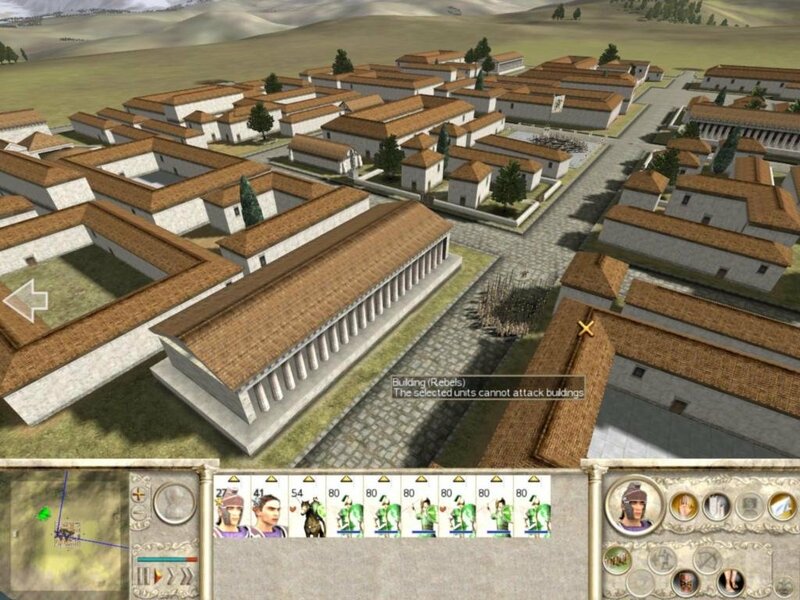 More importantly, this new movement system places a strong emphasis on one of the key accomplishments of the Roman Empire: roads. 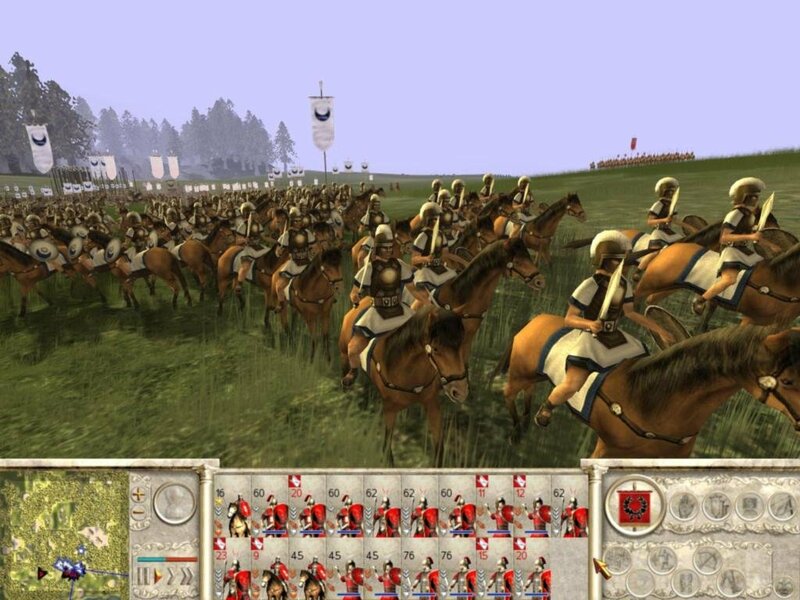 With more places to go, your armies need a way of getting around more effectively. Building a network of roads is the key to being able to respond quickly. The best part is how effectively the campaign system makes use of its setting. 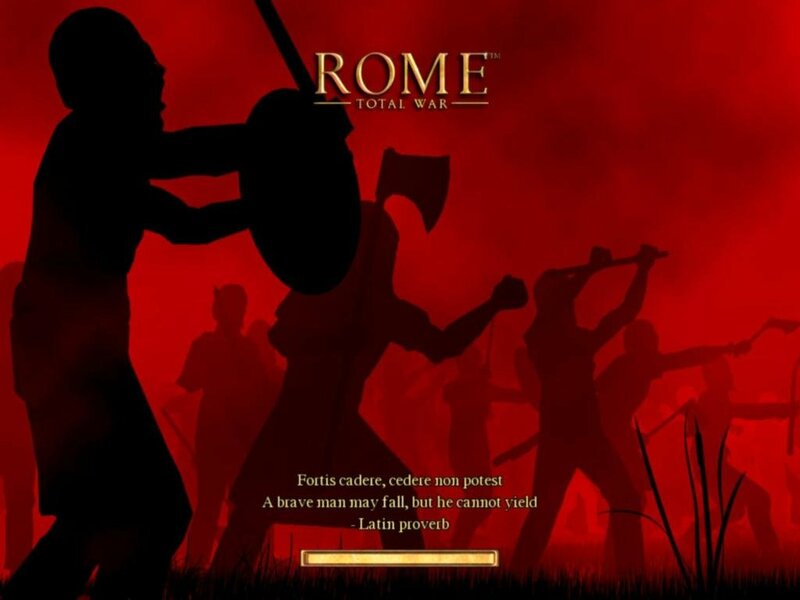 You play as one of four Roman factions, placing you in a novel role as one cog in a larger machine, all fighting for the glory of Rome. 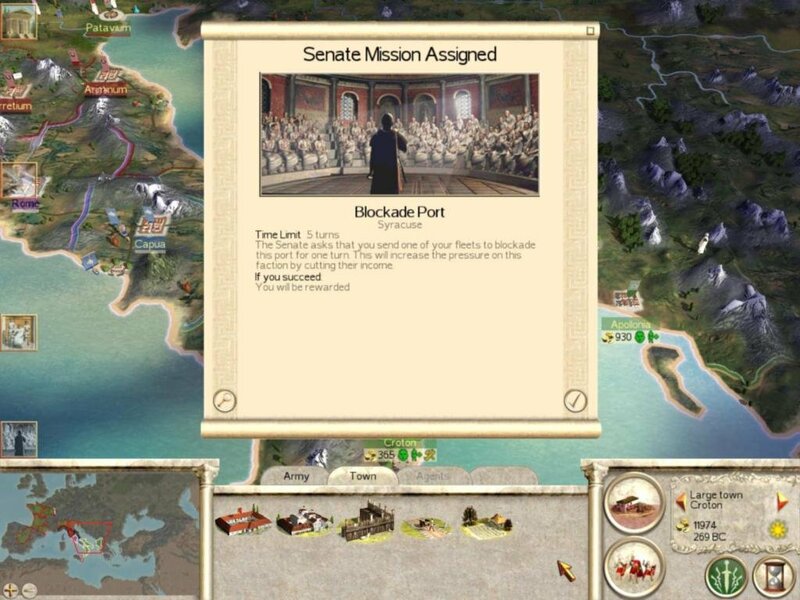 The Senate provides you with missions that add flavor to the game and give you a never-ending stream of short-term goals to accomplish. 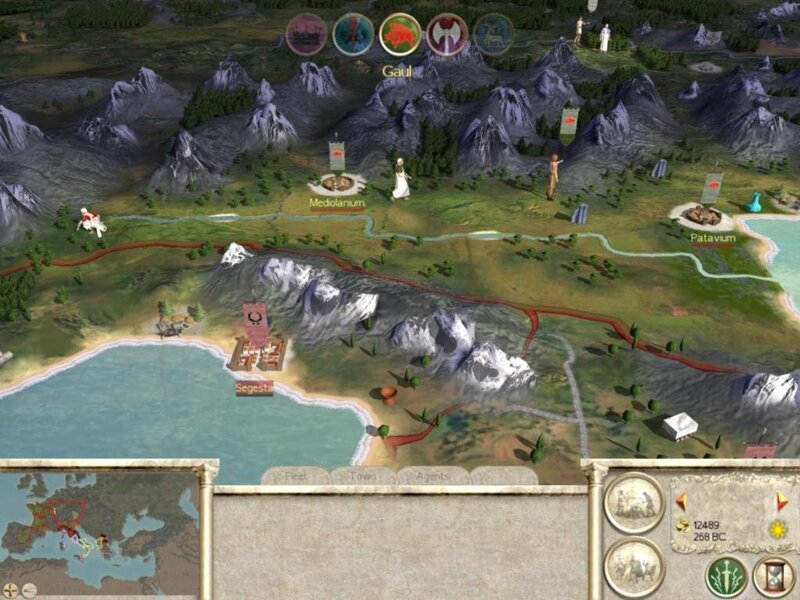 Eventually you’ll turn on all of them, and try to take Rome for yourself—a clever contrivance that replaces the late-game drag so common to sprawling strategy games with a tense and climactic endgame battle of huge proportions. 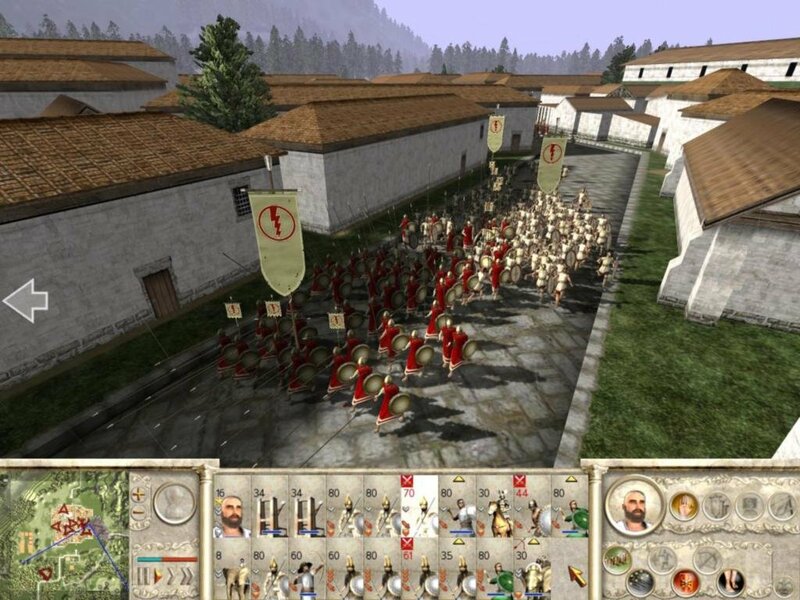 Rome’s huge campaign, large number of civilizations and diversity of tactics are enough to keep any gamer occupied for weeks on end. 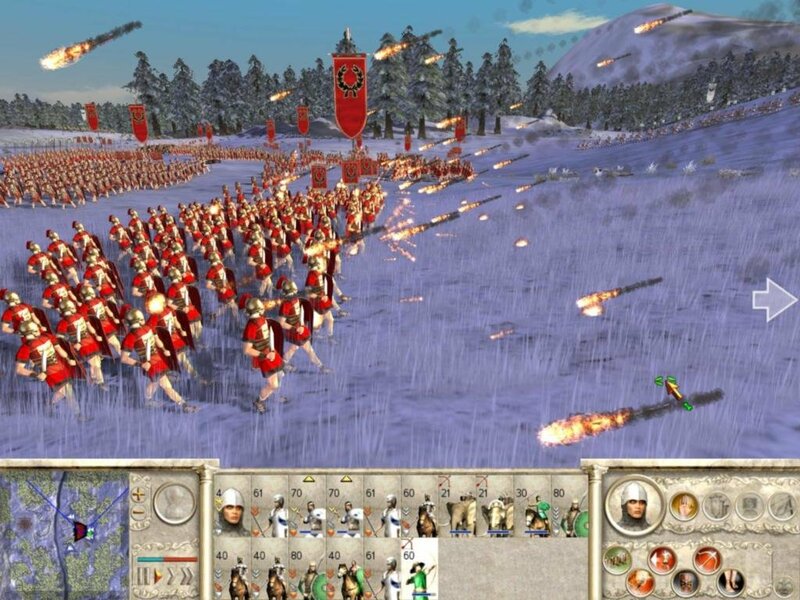 Hats off to The Creative Assembly for creating one of, if not the best, Total War game in the series. This one has the expansion. 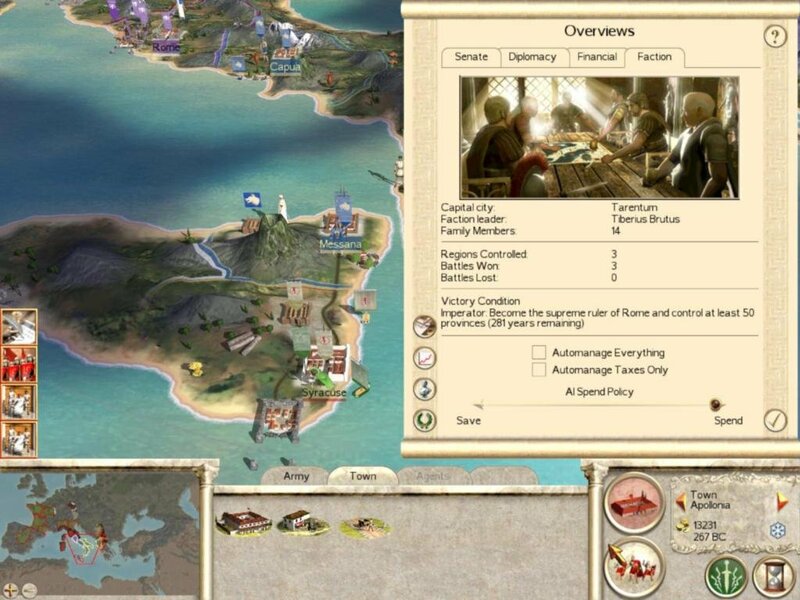 Ohh Im sorry when I open the rar file it already says Rome Total War Gold Edition.By the way thank you for this game! I dont know what .7z extension file means. Can i run the download in my computer ? Yeah only RAR or 7z files should be downloaded. Anything else is just SPAM from firedrop, not me. Don’t download that crap. 7z is 7zip. it’s like RAR. You need 7zip installed to open 7z files. After that you just open, extract and play. Real thanks. Will respond after downloading and playing the game. Could you like not post a comment for every sentence please? Nice, thanks. Was looking for a copy of this that wasn’t riddled with viruses. A YouTuber I found the other day did a long series on this game. 57 30 minute to an hour videos. His channel name is Many A True Nerd if anyone is interested. Thanks a lot for this, i was looking everywhere for it. 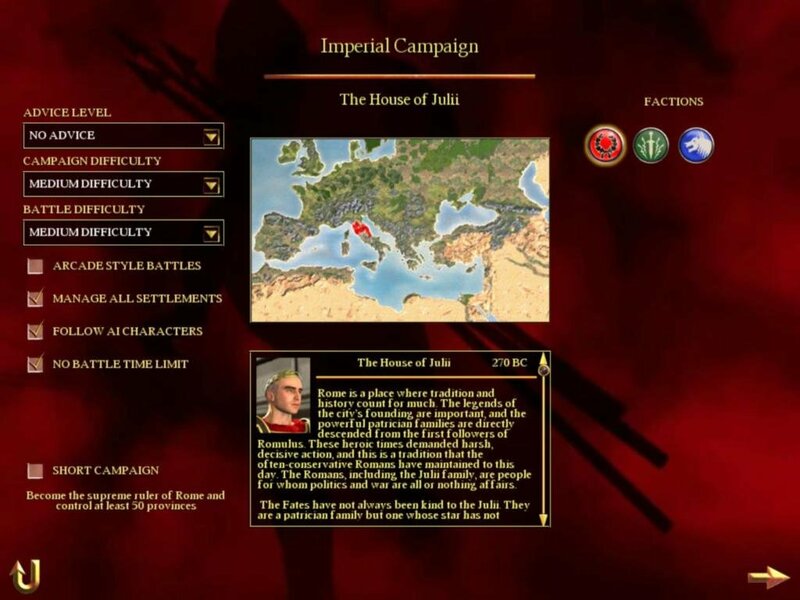 I have a problem tho, when i try to start the imperial campain on the expansion, it says :” Please select an item from the list.” with only the affermative botton which make me return to the menu….what do i do? Admin I am downloading This game with uTTorent with magnet link you provided. Are you sure It will work ??????????????? How do you think I made the screenshots????? ITS LAGGY, HOW CAN I FIX IT BRO? dont mind ive fix it already. you should think of dding the d3d8.dll it makes the game playable Mr.Old PC Gaming or maybe u want the game to be as it was in disc but u should put a tip about that .dll file so people could play it really smoothly. try installing an older version of winrar or 7zip if it asks for a passcode, since none of the files here will ask for one. Is it really safe? No viruses? does this work in windows 10? 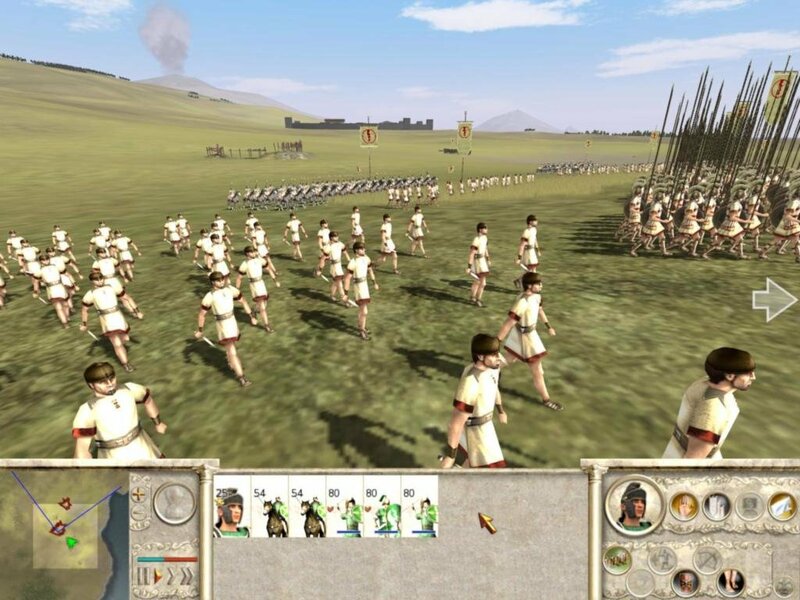 But it needs ‘Rome: Total War- Gold edition’ or (the one here you upload) to run. 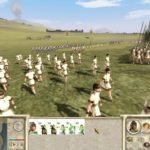 Did the author of this website uploads Rome: Total War- Alexander? I just started to play, it looks and plays awesome. 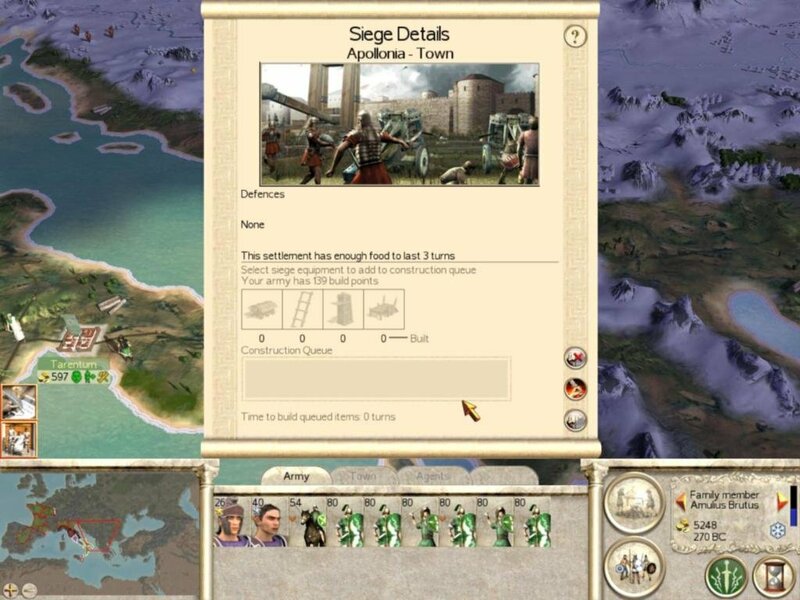 after i played half of the roman campaign i cant log 2 the game it keep crashing for some reason. Sickness, after you load your mission, sometimes it crash. The game crash if you start battle? If so, you can just simply reload your saved game, then, click end turn. After you end turn, you can battle your enemy without crashing the game. Next time (like next day or tomorrow) you load your mission, it crashes. If that happens, just make the same procedure. It worked on my win. 10 laptop. Just download Game Ranger or you can just play it in LAN if you have 2 or more pc’s, no need internet requered if using LAN. Thank you a lot, brovslowski! Brought a big piece of childhood back. Is it working in win 10? Cause after extract the file, it can be launched, noted that ive to reinstall directx 9, then ive reinstalled but still doesn’t work.. I have read all the comments and feel comfortable to download this BUUT i want to know what version of the game is this? with the latest patch? sorry to ask you to keep going over this. ive never done anything like this before but this game brings back fond memories and id love to play it again. so I download 7zip and firedrop, download the game and save it to firedrop and then extract it using 7zip and then I can play it? and its the big red download arrow at the top of the page? It’s downloading just now. thanks for taking the time to speak with me and thanks for sharing these games. You’re Awesome. path does not exist. every time. The game is running very well, no problem with that. 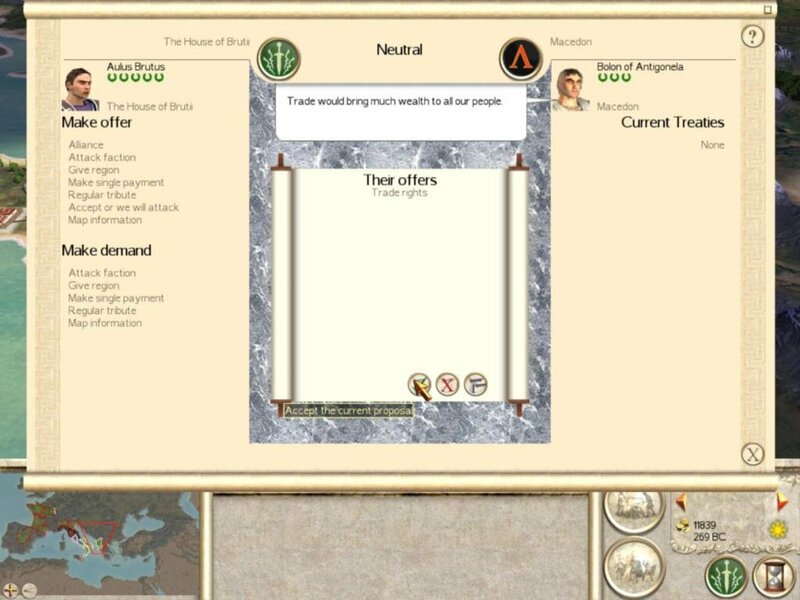 However, each time i save a campaign or battle, quit the game and come back, the campaing has disepear. Any advices ?